Buffalo’s historic parkway system may be key to its friendly spirit. 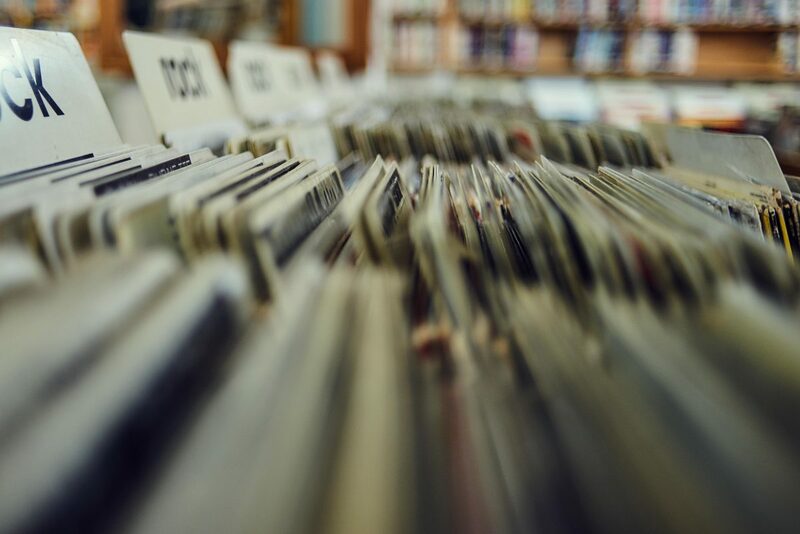 But parts of it have been ripped up — to dismaying result. What can a Rust Belt city do now? Two months after moving to Buffalo, I found myself spinning my wheels. My car tires whined, getting no traction in the already-packed November snow. A gentleman in a suit charged by, then stopped. “Oh, I’m not in any hurry,” he said. Despite his blazer and slick dress shoes, he spent the next 15 minutes steering, directing, and outright pushing my car out. [blocktext align=”right”]The story started like those of many cities in the region: with great wealth. [/blocktext]I’d just been living in Austin, Texas, known for its warmth — both figurative and literal — and laid-back vibe. But only in Buffalo had I experienced unrushed help from someone clearly heading to work, and even in the freezing cold. The lesson seemed obvious: Bad weather breeds neighborliness. Yet once warm air floated in, it became clear the feeling ran deeper than snow. When summer hit, Buffalo’s population looked like it had ballooned. Crowds thicken for farmers’ markets, block parties, and concerts. Setting up blankets, couples steal tender moments, and mothers coo at little ones as if they were in their own yard. People read, sunbathe, picnic, and take workout classes right there in public. They play sports as sedate as croquet and as zany as AcroYoga out where everybody can join in. These public greens — along with their front porches and closely spaced houses — nudge Buffalonians to relax together rather than retreat to separate backyards as in so many newer cities. And that in turn may foster neighborliness — or at least it does in my part of town, the Elmwood Village, where the old Victorians are dense and the parkways are best-preserved. The American Planning Association has named it one of the 10 greatest neighborhoods in the country. But there’s also a darker side. 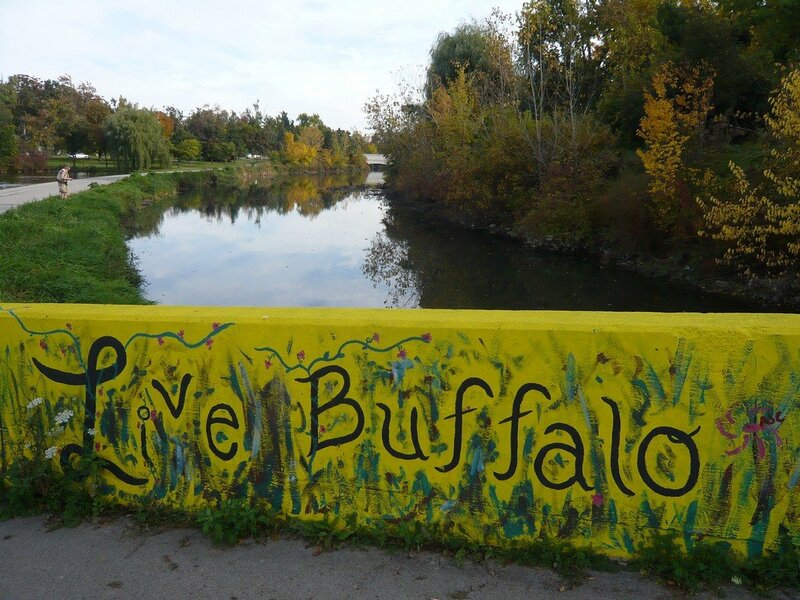 Over the years, Buffalo has in places cut into Olmsted’s vision — and ripped into the city’s social fabric. 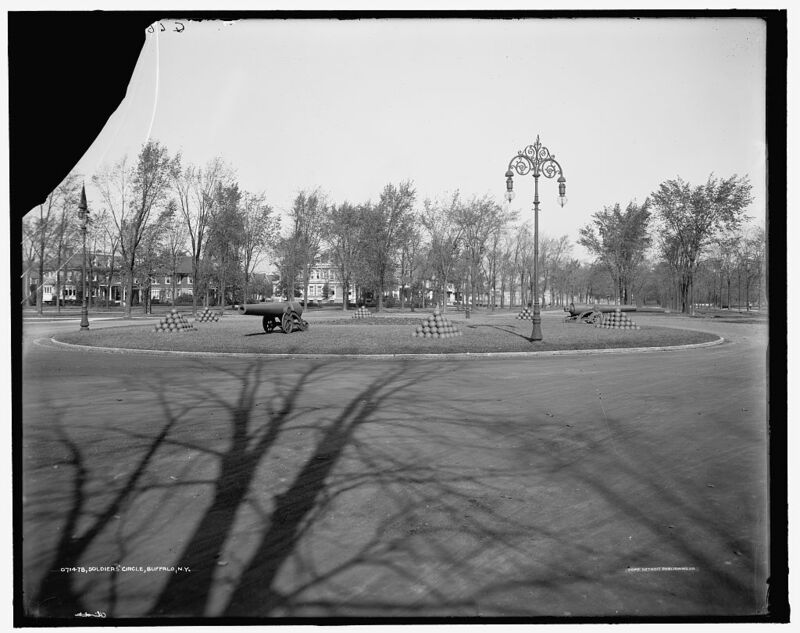 The city turned its grandest parkway, Humboldt, into an expressway in the ’60s, and it cut the Scajaquada Expressway, or 198, through crown-jewel Delaware Park. The value of roadside homes plunged, and surrounding neighborhoods like Parkside and Hamlin Park struggled. Then in June, a three-year-old boy was killed, and his five-year-old sister injured, when a driver lost control on the 198 and barreled into the park. Pedestrians are all too often hit by cars in the U.S. But in Buffalo, the toddler’s death struck a nerve. Within days, the speed limit on the road was dropped 20 miles per hour, from 50 to 30, by the governor’s order. A guardrail was hastily put up. Public debate has been escalating ever since. If the parkway system fosters social cohesion in the areas where it’s been preserved — but actually damages the quality of life in neighborhoods where it’s been ripped up — what can be done today in a Rust Belt city like Buffalo? The story started like those of many cities in the region: with great wealth. Buffalo had Gilded Age money and big ambitions in the 1860s. But 40 years after the opening of the Erie Canal, it was growing crowded and industrial. Its waterfront was jammed with huge, stark grain elevators that few but the European modernists found attractive. 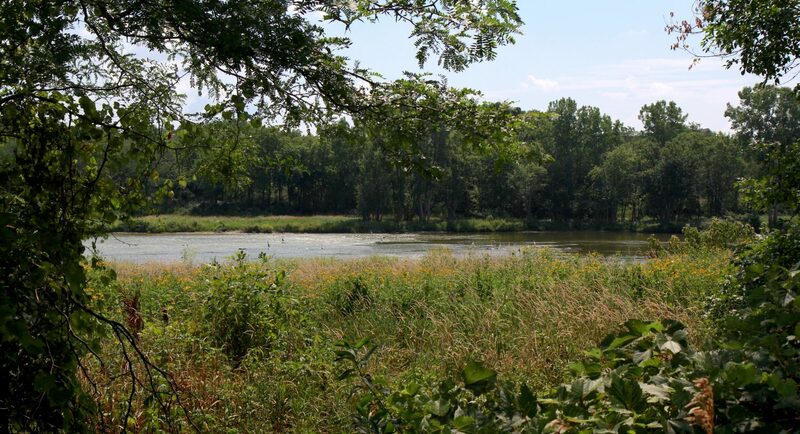 Civic leaders asked Olmsted, fresh from success in New York City and traveling to Chicago for new projects, to stop in and see what the city might do for beautiful parks here. In his time, of course, Olmsted could hardly have imagined some of the ways today’s Buffalonians would use these public spaces. The Victorians would have been scandalized by people contorting their bodies into yoga poses while wearing nothing but tights, for instance. Olmsted intended the parkways to be formal and individually “ennobling,” local preservationist Tim Tielman notes. Their use in areas like Elmwood Village’s Bidwell Parkway tweaks Olmsted’s original plan for formality and grandeur, he says. But Olmsted, the experts agree, intended for the parkways to unite people of different backgrounds — and in that, he would be satisfied with modern uses. “He was a guy with a lot of social theories,” says Francis Kowsky. A SUNY Distinguished Professor of Fine Arts emeritus, Kowsky wrote the authoritative book on Olmsted, Vaux, and Buffalo’s park system. 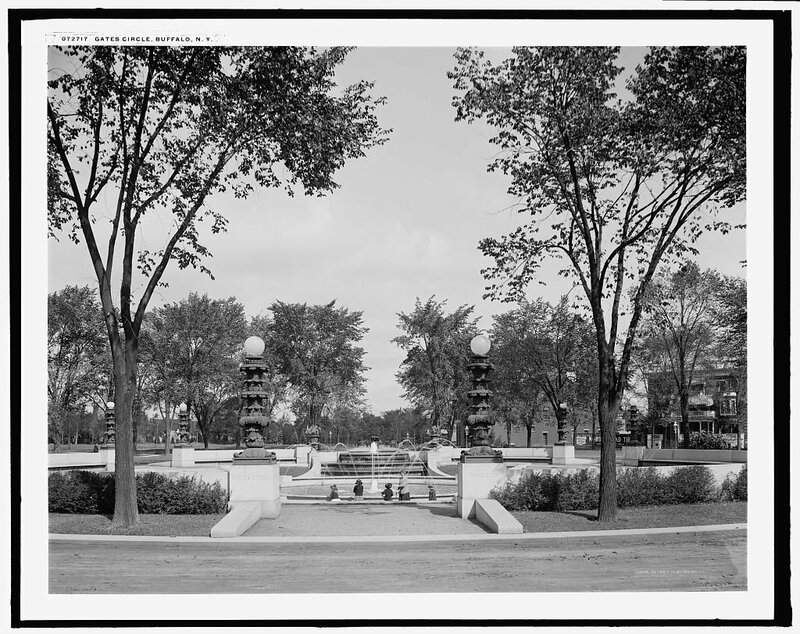 Sitting on a cafe patio overlooking the Elmwood Village’s Bidwell Parkway on a summer morning, Kowsky describes how Olmsted worked in the public interest with his parks. 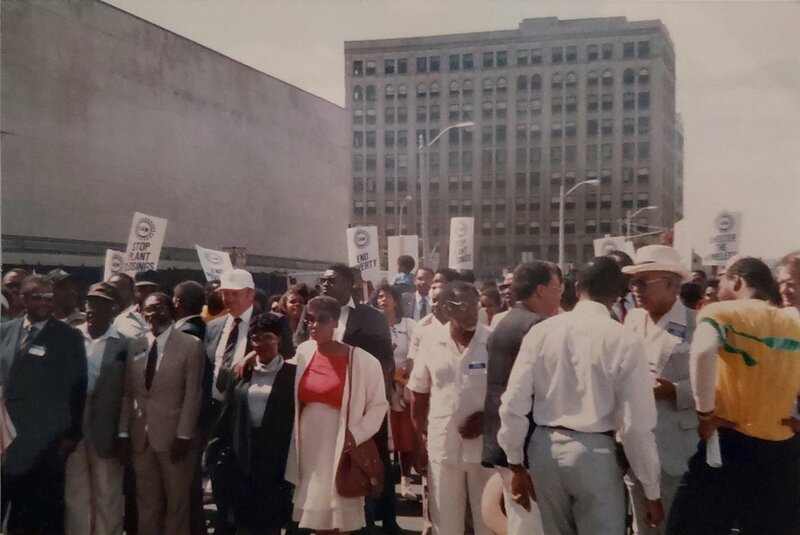 [blocktext align=”right”]”His parkways were a physical way of trying to encourage people to come together…his parks were neutral ground for every class, rich or poor, as a universal place of recreation.”[/blocktext]Buffalo’s leaders were convinced as much for financial reasons as egalitarian ideas. Property values would be higher along the parkways, Olmsted promised. That would help the city make up the cost of the land. Housing would be dense. That way the areas could be served by public transportation in the form of trolleys. In 1870, work began. 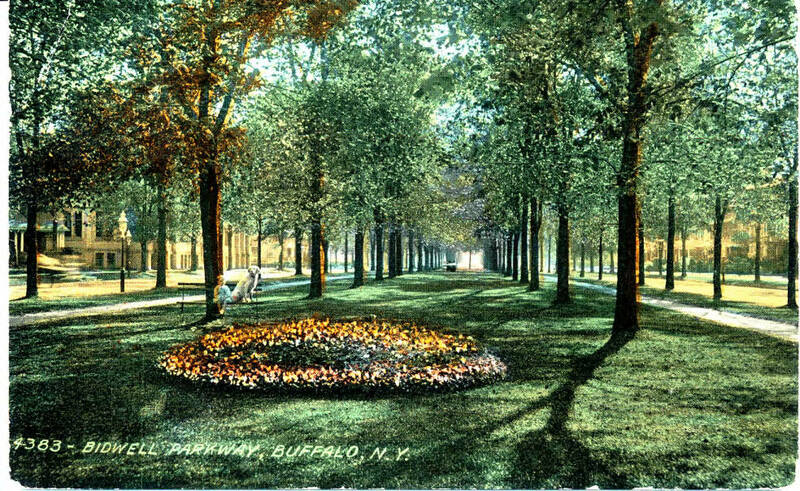 For half a century, the parkways graced Buffalo, staying mostly as they were even as the city grew. Picnicking in them was especially popular. Neat rows of American elms reached up and toward each other, feeling from underneath like a green cathedral. But the bridle paths down their centers became less used as horses fell out of style. After World War II, however, people weren’t turning to history. They talked progress. 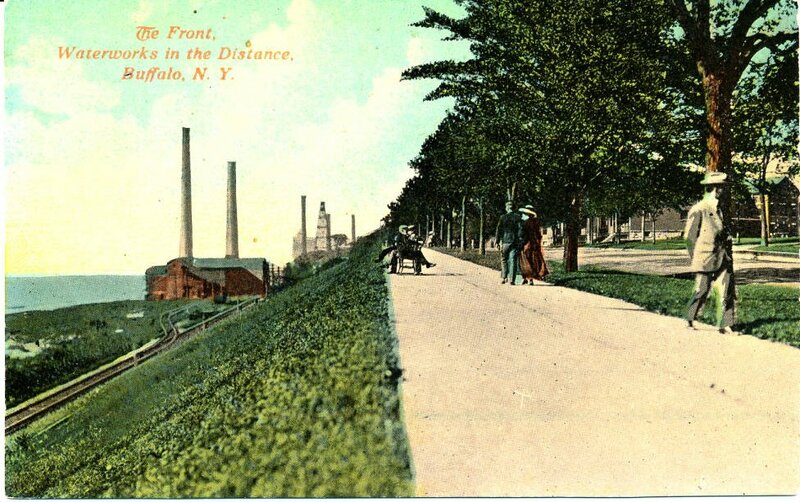 The paths Frederick Law Olmsted had laid out alongside nature would become asphalt tracks for cars. At 200 feet, the parkways were wide enough for four-lane expressways. Dutch elm disease had been claiming many of the parkway trees around the same time. Leaders chopped the grandest parade of them all, Humboldt Parkway, into a highway, and cut another through Delaware Park. [blocktext align=”left”]“There was no standing on the corner, [or] racing down the road, because the park created a peaceful place that demanded your respect. It made you be different. Nature does that to us all, doesn’t it?”[/blocktext]Once the trucks and dynamite came in, the atmosphere changed fast. White families mostly left. What had felt to her like one big neighborhood eventually became five very separate ones: Humboldt Park, Hamlin Park, Trinidad Park, Kingsley, and the Fruit Belt. The business districts on nearby Jefferson and Fillmore avenues died out. Drugs were sold on corners. Property values plunged. Geter became president of the Hamlin Park Community and Taxpayers Association and tracked everything she saw in the area, which had become predominately black. That included deadly health consequences — what struck her as high rates of upper respiratory infections, lupus, asthma, and cancer — among residents living along the highway. She blamed pollution. It’s a tale of two cities compared to where the parkways were left intact. Elmwood Village went through its own rough patch when Buffalo’s industries bottomed out in the ’80s and ’90s. But laced with porches, trees, and green space, this neighborhood turned around. Its business stretch, Elmwood Avenue, once included a so-called Needle Alley for drug exchanges; now apartments are being built next to a gourmet store on the spot. Homes within 10 blocks of a parkway still sell at higher rates. Along Elmwood’s parkways, people to this day find friends. Ben Madoff, 34, moved to Buffalo from Ithaca a few years ago. He grew up painfully shy, and still often pauses as he thinks out what to say. But he found his community when he tried AcroYoga — an acrobatics-yoga meld that has people balancing on each other like an everyman’s Cirque du Soleil. One mile away, along what are now expressways, there’s little space for encounters like those to happen. And then this summer, things turned lethal. 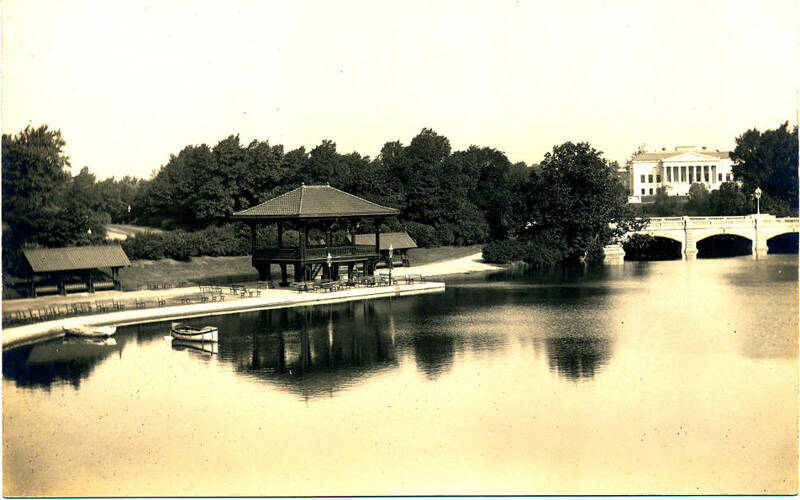 Olmsted’s Delaware Park, now bisected by the Scajaquada Expressway, also called the 198, today hosts a pond on its smaller side and a scrappy golf course on its bigger one. Besides the basketball and tennis courts, the nearly two-mile asphalt road ringing the golf course sees the most action. It’s mostly closed to cars, so cyclists, runners, and walkers take big laps there. Mary Sugorovskiy was strolling the road with her two children, three-year-old Maksym and five-year-old Stephanie, one bright Saturday morning in June. Stephanie had just finished a soccer game in the park. Mary stopped to let the kids switch places. Before she could grab their hands and rip them out of the path, a Chevy Malibu plowed off the highway into the family. Stephanie was rushed to the hospital, seriously injured. Maksym died. The driver knelt in the park and sobbed. [blocktext align=”right”]In the next few years, Buffalo will decide: accept today’s separations indefinitely, or try to somehow claw back toward its old parkways. [/blocktext]Changes were near-instant. A guardrail was immediately erected. The speed limit was dropped at the governor’s order. A town hall meeting was called in mid-July by community groups who’d come together as the Scajaquada Corridor Coalition. They were calling for volunteers for various committees to work on changes to the highway. But public upset was evident even there. “It’s revenge for a dead kid!” one driver shouted. Pushback continued in the newspaper. Local newspaper columnist Rod Watson called for efficiency-minded drivers to overrun “Olmsted groupies” at public meetings if they wanted to keep moving through the city on its modern-day expressways. Olmsted groupies, he explains by phone from the newsroom later, tend to be people of high socioeconomic status. Nobody has an easy solution. The speed limit on the Scajaquada through Delaware Park has stayed lower, despite grumbling. There is talk about infusing “traffic-calming measures,” like speed bumps, as well. With groups like the Buffalo Olmsted Parks Conservancy, local politicians, and even hashtags behind what they call “right-sizing” that highway, the movement looks to be edging toward more permanent change, though whether it will take the form of a parkway is uncertain. 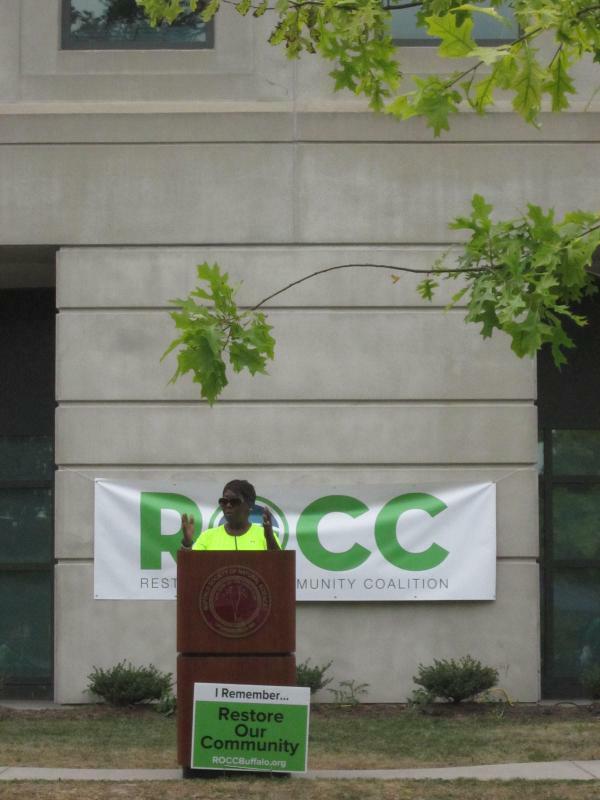 Geter now advocates for that, too, as president of the Restore Our Community Coalition. The coalition held a march and rally for tunneling the highway that drew 100 supporters on a Saturday afternoon in August. Citing studies from SUNY-Buffalo and the New York State Department of Transportation, Geter said that “capping” the expressway would cost upwards of $500 million and supply up to 1,000 local jobs. The “Buffalo Billion” that Gov. Andrew Cuomo pledged to regional development has not so far included such a project; the coalition hopes it could tap into federal funds. The urban planning mistakes of years past have been fixed in metros like San Francisco, Portland, and Boston, where prominent highways have been made into tunnels topped with parks. But those are larger cities with the money to invest, the appetite to grow, and the vision to improve quality of life. Boston was better for the “Big Dig” that left it with the Rose F. Kennedy Greenway, Boston Magazine reported. Property values more than doubled, crime dropped, and the economy grew. But it became the most expensive highway project in U.S. history, at $22 billion. Can today’s Rust Belt cities manage even a fraction of that? Social cohesion and quality of life can be hard to quantify. I can only wonder: Would the very first Buffalo driver who came along have been as apt to stop and help me push my car out of the snow along a freeway as he did one block off a parkway? There’s no way to know. For now, there’s little doubt that Frederick Law Olmsted’s parkways knit some local neighborhoods together. Others, with those parkways torn out, have been left to struggle. In the next few years, Buffalo will decide: accept today’s separations indefinitely, or try to somehow claw back toward its old parkways. Lynn Freehill-Maye is a travel and food writer who’s lived in Europe, Africa, and all over the Americas. She now happily calls Buffalo home.